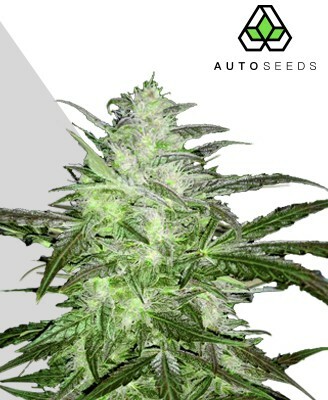 Auto Chemdog Auto is a hybrid mix that is heavy on the indica side. Chemdog alone is a cross between OG Kush and Sour Diesel, and it’s the OG that gives its heavily sedative effects. That Chemdog has then been crossed with Auto #1, which gives it its quick flowering time and high yields. An easy grow, this strain is one that is especially suited to novice growers. 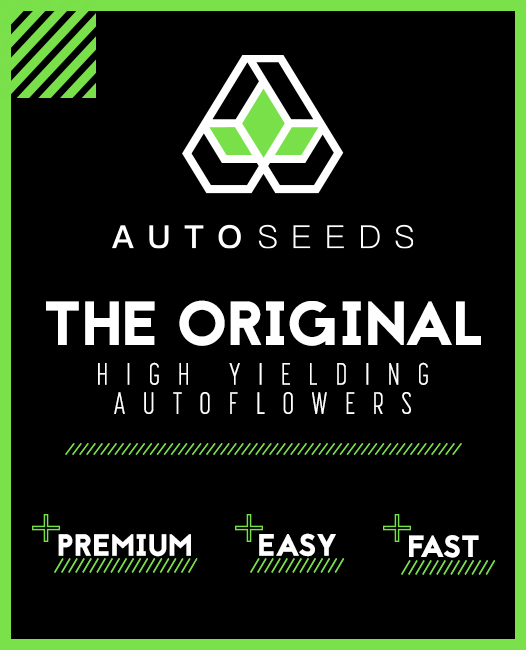 Holding the esteemed position of being one of the most powerful and well-bred strains in the Auto Seeds bank, Auto Chemdog is the result of breeding a clone of the original Chemdog with the ruderalis based Auto #1. 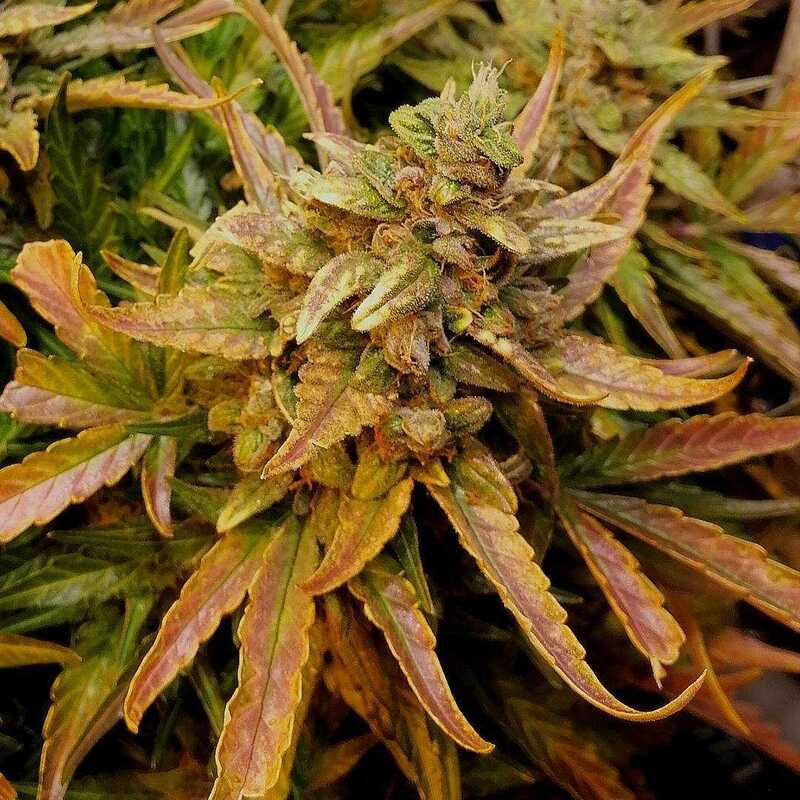 The resulting strain is an autoflowering hybrid that boasts an admirable pedigree and the kind of qualities that make it a top choice for growers and consumers alike. 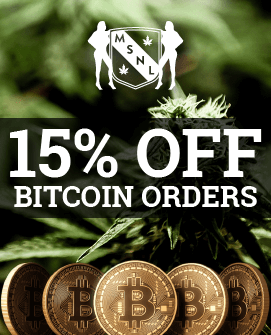 This high-grade quality has also made it a popular strain for cannabis aficionados, its flavour, strength and effects impressing even seasoned smokers. So if a strain that seems to offer everything sounds appealing, then this particular one may be just what you need. 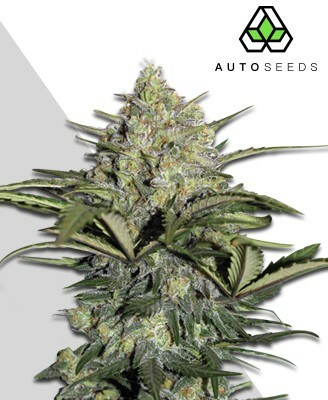 Auto Chemdog has the unusual quality of offering a powerful yet carefully balanced high that provides as much mental stimulation as it does relaxation. 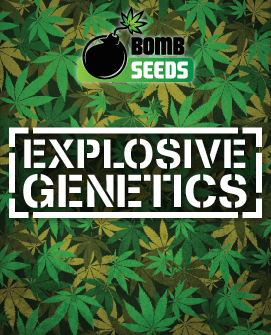 It packs a weighty THC content which fuels the potent all-consuming mental and physical effects of the strain. The good times start with a gentle brain stimulation that comes on fast and ultimately soars to leave you in a state of tranquil euphoria, a quality that has thankfully been inherited from its Chemdog clone parent. Once this mental effect has been established the other side of Auto Chemdog’s heritage becomes apparent, gradually bringing on its knockout bodily stone to create a perfect balance between its indica and sativa sides. To make things even better this is one seriously long-lasting buzz that never seems to end, and will lull you into an easy sleep whenever the feeling takes you. This potent mix of mental and physical effects naturally makes it an ideal strain candidate for medicinal use. The high THC levels banish stress and depression with ease for many, along with the sedative effects that will make insomnia a thing of the past. It is also useful for treating more physical problems such as migraines and for general pain relief. Due to its rich strength, however, it may be worth trying for a whole range of medical problems to see if it can help. For such a high quality strain it is not shy with its yields. Indoor growth will see a harvest of around 30-50g per plant while the outdoors will be much more generous, offering up to 70-100g per plant. This may not be the most bountiful of strains but Auto Chemdog is all about quality over quantity, producing the kind high grade bud you won’t want to replace. Auto Chemdog is no diva when it comes to growing, requiring little more than minimal attention and reaching a modest 45-85cm in height. 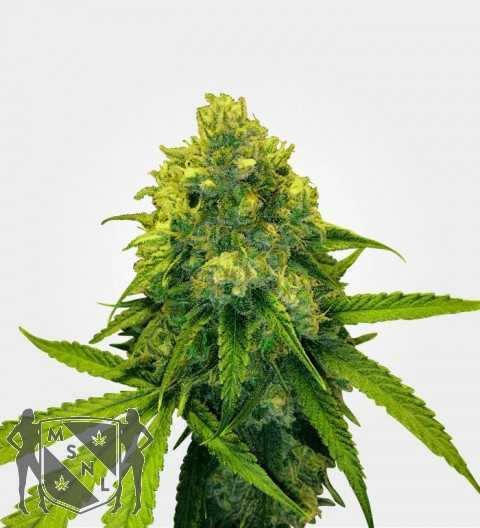 It is highly resilient and capable of thriving either indoors or outdoors, with the plant itself being strong and sturdy with numerous bud sites that helps provide the strain’s sizeable yields. Flowering should occur around 60-65 days from seed, making this one of Auto Seeds’ quickest. Along with outdoor harvests being ready from April to October this makes it a very versatile outdoor grower if your circumstances allow it. 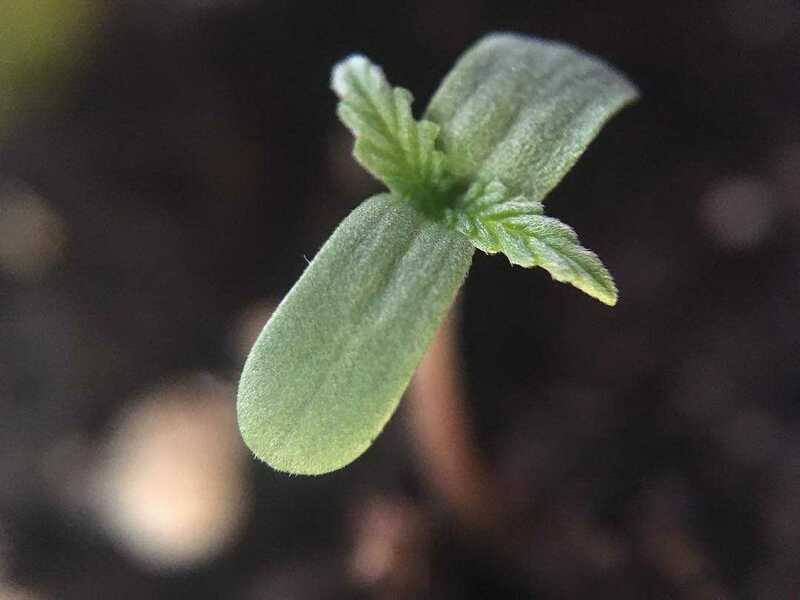 This short flowering period and the small size it inherits from its Auto #1 parent can make the strain ideal for the outdoors provided your local climate allows it enough sunshine. Savvy growers may even be able to get more than one harvest per year from the same plot of land. 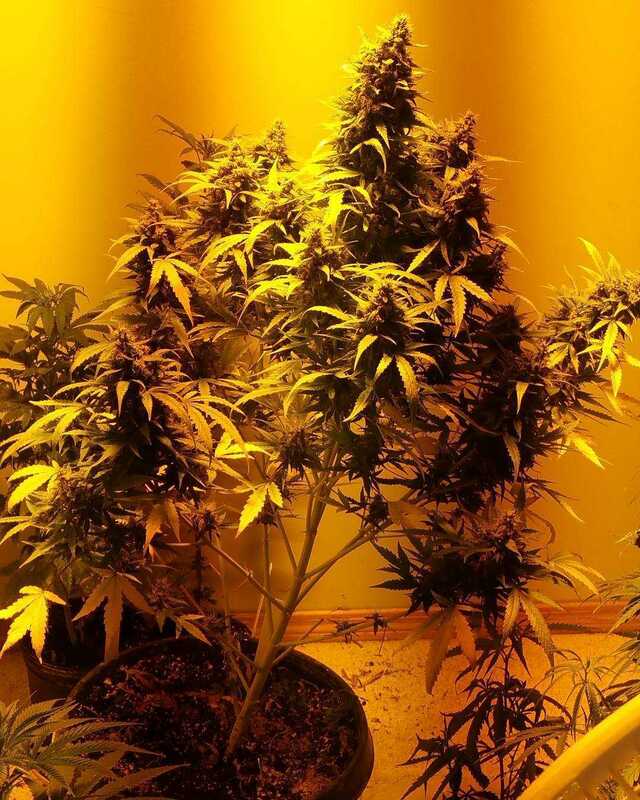 The small stature of the plant can also make it well-suited to stealth growing indoors without losing any quality in the bud, though yield sizes may take a hit. The multiple side branches produce numerous bud sites along with the central kola, allowing an adequate yield despite the plant’s size. Don’t be fooled by the ease of growth in the strain, as despite this strain has the goods to satisfy newbies and veteran smokers alike. Auto Chemdog proves itself a winner in its smoking effects, yield, and ease of growth, and clearly does not want to let its fans down in the taste department either. The strain has an aroma that is, much like the high, at once powerful and complex while being uniquely distinctive. The standout scent is one of spices with a citrus-like skunk-y flavour behind it mixed with a bit of diesel. Despite identifying these notes you are left with the impression there is yet more to uncover, giving the strain an air of mystery that can never quite be lifted. Auto Chemdog hints at the taste to come from the moment the bag is opened, blasting you with its pungent aromatic, spicy scent, imbued with those satisfying skunk notes. The buds themselves are compact and resinous, promising a quality smoking experience before it has even been lit. Much like the plant, the buds are coated in a delicious layer of trichomes for some welcome eye candy. With a bag appeal that passes with flying colours the strain covers all bases to offer something that is sure to satisfy even the most particular weed aficionados out there.